What's the Most Underrated Local SEO Factor? 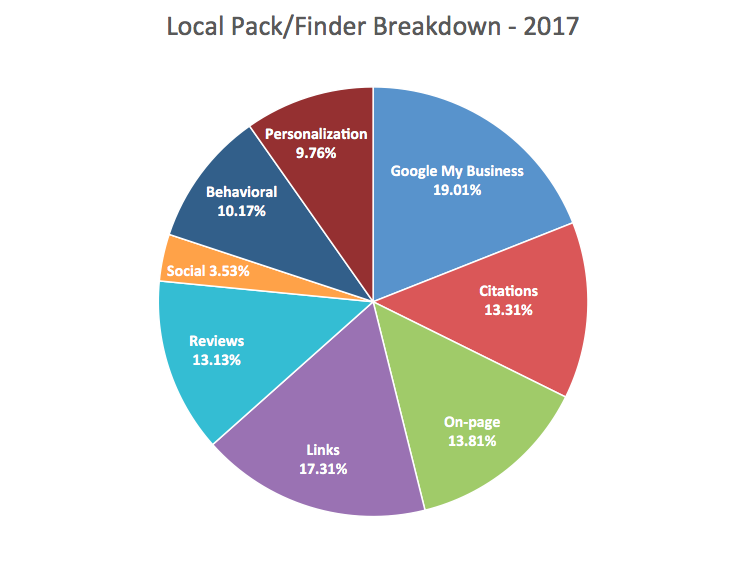 What's the most underrated Local SEO factor in 2017? What’s the most underrated Local SEO factor in 2017? 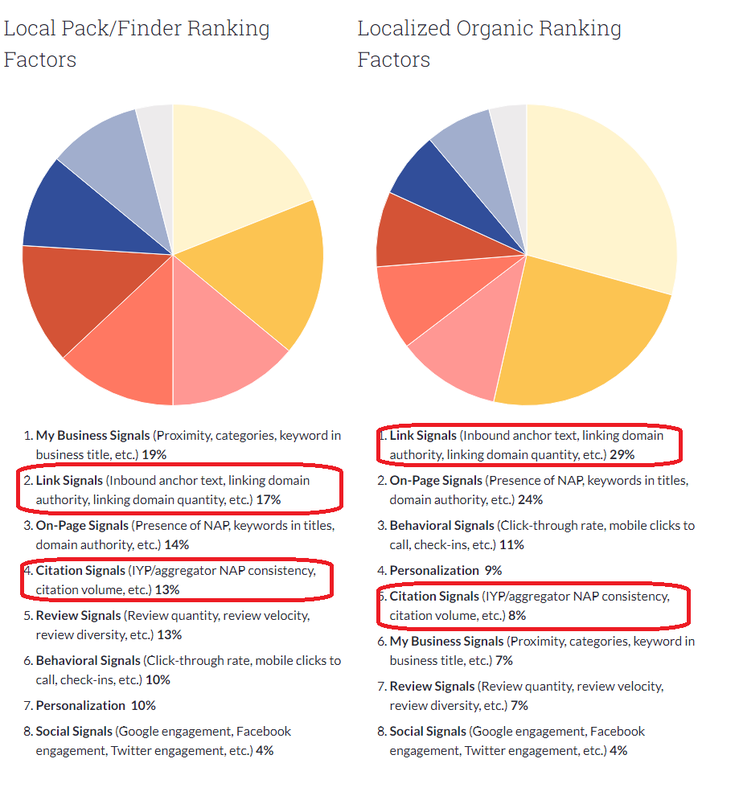 Back in April of this year, Moz released the results of their annual Local SEO Ranking Factors Survey, which polls a number of local SEO experts on which ranking factors they believe are most important when it comes to websites obtaining top Google “SnackPack” rankings. As expected, some of the most important ranking factors at the top of the list are related to website authority, and inbound links from other websites. Link-related factors have been among the top SEO ranking factors for as long as I can remember, and this is coming from someone who has been doing SEO for over 10 years. As an SEO consultant who has to explain to clients on a regular basis that there are hundreds of factors when it comes to improving their website’s rankings on Google, Bing, and Yahoo!, these types of surveys make it sound like we should be spending all day cherrypicking backlinks from their competitors and listing their business information on as many directory and Local Citation websites as we can find. But this is not an approach that I take…spending hours on end using the out-dated link building method of paying for multiple paid directory listings, based on two of three of the client’s competitors ranking well on Google (Local/Organic). Yes, links are important. They always have been, they always will be. But are they the “end all, be all” of SEO and improving OVERALL SEARCH ENGINE VISIBILITY? No. And we don’t focus solely on rankings anyway. Presenting relevant content on home page…link to FAQ’s that are helpful and relevant, make sure internal links are spread properly throughout the site in an attempt to improve click-thru-rates (CTR), pages-per-visit, and other user experience-related metrics. Identifying pages with thin content (under 500 words), eliminate outdated content pages, combine shorter FAQ pages to create longer, more informative page content. If this all sounds like basic on-page optimization tasks, that’s because they are fairly basic. But when Moz and other SEO-related blogs come out with these studies saying that link and citation-related factors account for 30% of most important local ranking factors, and 37% of top organic ranking factors, sometimes there are underrated ranking factors that end up “falling through the cracks”. 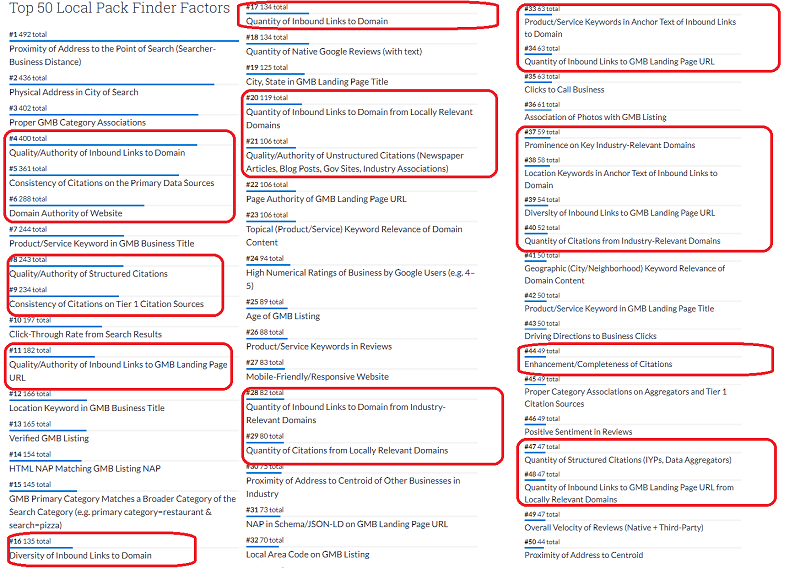 If reading this entire list is making your head spin, or if you’re saying to yourself “how many link-related factors can there really be?”, I don’t blame you. Actually, I’m 100% with you. When I said earlier that I don’t spend hours on end analyzing every link-related factor for clients, hopefully it now makes sense as to why my time might be better spent elsewhere. How ridiculous would it be for me to report to a client that I spent 5 hours last month analyzing every single factor on this list, with no measurable or action item to report? I will never say that links aren’t important. 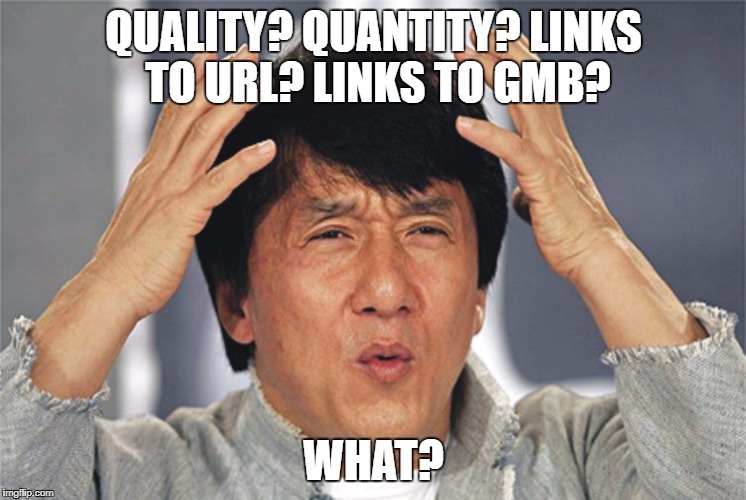 But sometimes these link-related factors can be a little over-the-top, and to be honest…I personally believe that the SEO industry puts too much emphasis on link and citation-related factors, so that they can keep the companies who offer link and citation building happy and in business. Are links and citations important? Of course. Are they the top secret, magic wand of the SEO industry? I’m not so sure. For two of our legal clients, we found out that there was one local ranking factor in particular which made an immediate, significant impact when it comes to their local SEO presence and overall Google local visibility. 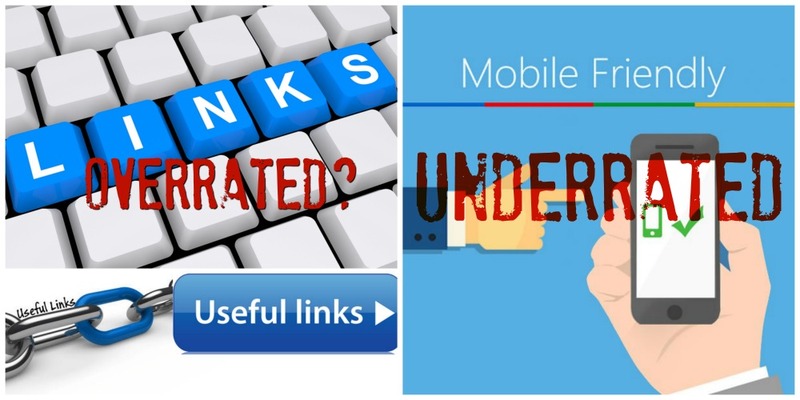 So what is the most underrated local SEO ranking factor? For client #1, we put the new website URL into Google’s PageSpeed and Insights tool and noticed a significant improvement. Now, it’s worth being mentioned that there are a NUMBER of websites which test website load times, such as GTMetrix, Pingdom, etc. We definitely focus on improving load times of clients’ websites, which are usually WordPress, by installing caching plugins, implementing CDN’s, and optimizing/compressing images. It should also be worth noting that “load times” as a factor isn’t even in the top 50 when it comes to Local/Snack-Pack ranking factors. But #27, how responsive and mobile-friendly a website is, should definitely be bumped up on Moz’s list, in my humble opinion. More people are searching for businesses via mobile devices. And for the past 3 years, every SEO blog and forum site would have told you that “responsive websites are vital to your website’s Google rankings!”, partly so that, again….in my humble opinion….more website redesigns can be sold. So for this factor to be #27 on the list, after we’ve spent the past few years selling mobile responsiveness as the next big thing, is a bit surprising to me, especially based on the immediate impact we’ve seen these past 2 weeks for the above-mentioned client projects. If you want to spend a few minutes on a local SEO ranking factor that is measurable, plug your website URL into the Google Pagespeed and Insights Tool, have your web developer improve your score, and see if your local rankings, organic traffic, and Google My Business views/actions/searches don’t see an improvement over the next few months. Oh, and try to implement an SSL as well, it shouldn’t take too long.